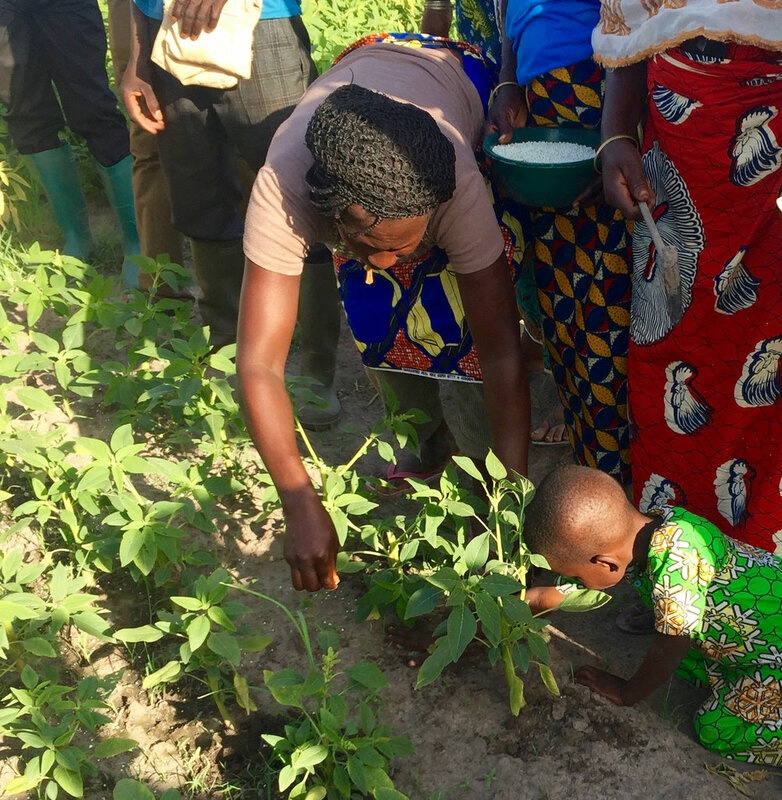 Farmers in Sub-Saharan Africa face daunting challenges: from high fertilizer costs to unstable rainfall patterns and poor soil quality, growing more food isn’t easy. And it is vital for ongoing food security that the area continue growing crop production, which currently increases by about 1 per cent a year. The region’s population, by contrast, is increasing at a rate of 3 per cent a year. And good soil is at a premium, limiting what land can sustain long-term agriculture. University of Saskatchewan scientist Dr. Derek Peak, along with an international research team, is harnessing the brightest light in Canada to help determine best practices for the area, and to test the long term effects of current agricultural techniques. In particular, the group looked at fertilizer microdosing, which uses as little as a quarter of the standard rate of fertilizer on a new plant, helps farmers invest in greater crop productions without risking too much on pricey fertilizers. However, there has been ongoing debate over whether the technique damages soil quality over time, by stripping the soil of nutrients. Peak’s group took soil samples from a long-term West-African research trial, including land that had been either fertilized normally, microdosed, or unfertilized, as well as with various amounts of added organic matter like manure and crop residues, to compare the relative nutritional health of each plot. They also analyzed annual grain yields for the last 15-20 years onsite. In the end, they found that microdosing wasn’t hurting agricultural systems as compared to standard fertilizer recommendations. In fact, in some cases, standard fertilizer applications seemed to increase soil acidity, thereby degrading the soil quality more quickly. Instead, all of the soils, regardless of fertilizers and organic inputs, saw decreased yields over time. Over the next three years, Peak’s team will be working on these problems in Nigeria and Benin, using a combination of Light Source and field techniques to improve nutrient stewardship and water management for indigenous vegetable production in the region. Cite: Adams, Alexis M., Adam W. Gillespie, Gourango Kar, Saidou Koala, Badiori Ouattara, Anthony A. Kimaro, Andre Bationo, PB Irenikatche Akponikpe, Jeff J. Schoenau, and Derek Peak. "Long term effects of reduced fertilizer rates on millet yields and soil properties in the West-African Sahel." Nutrient Cycling in Agroecosystems: 1-13.